Sometimes when it rains, it pours. In a good way. 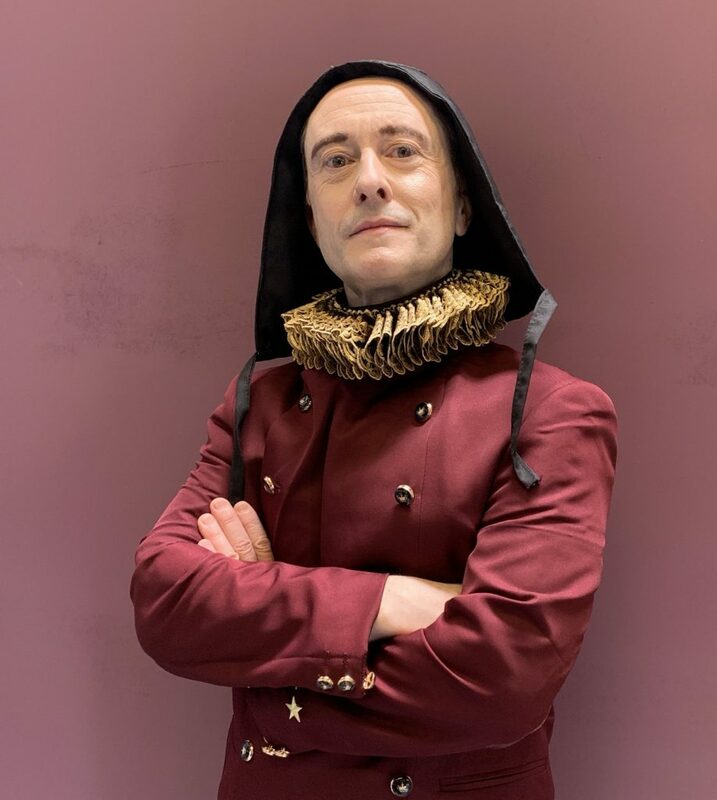 At the same time I was offered the plum role of Polonius in the Shakespeare@ stage production Hamlet on the East Coast, I was also offered the role of another classic Shakespearean advisor on the West Coast: Gonzalo in The Tempest. 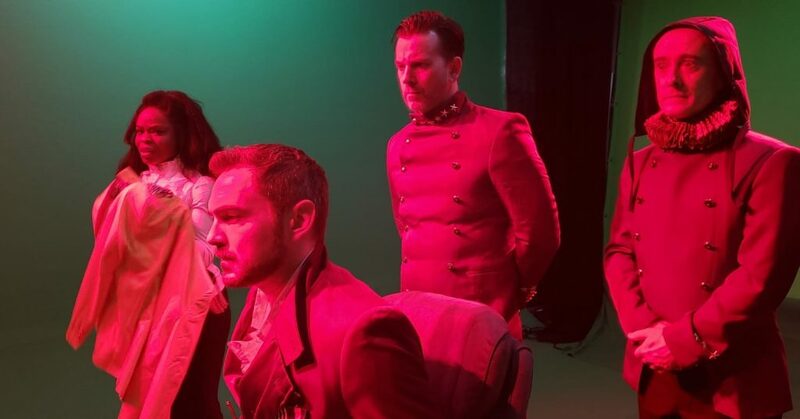 And this Tempest had a twist I couldn’t resist: it’s a pilot for a science-fiction version of the classic play, filmed in Virtual Reality (VR). Plus, in this interpretation, Gonzalo is an android–a kind of Elizabethan C3PO! I was able to fly out to LA to shoot The Tempest VR pilot midway through rehearsals for Hamlet. Producer/Director Charles Huddleston ran a tight (and super fun) spaceship and we even wrapped production early. 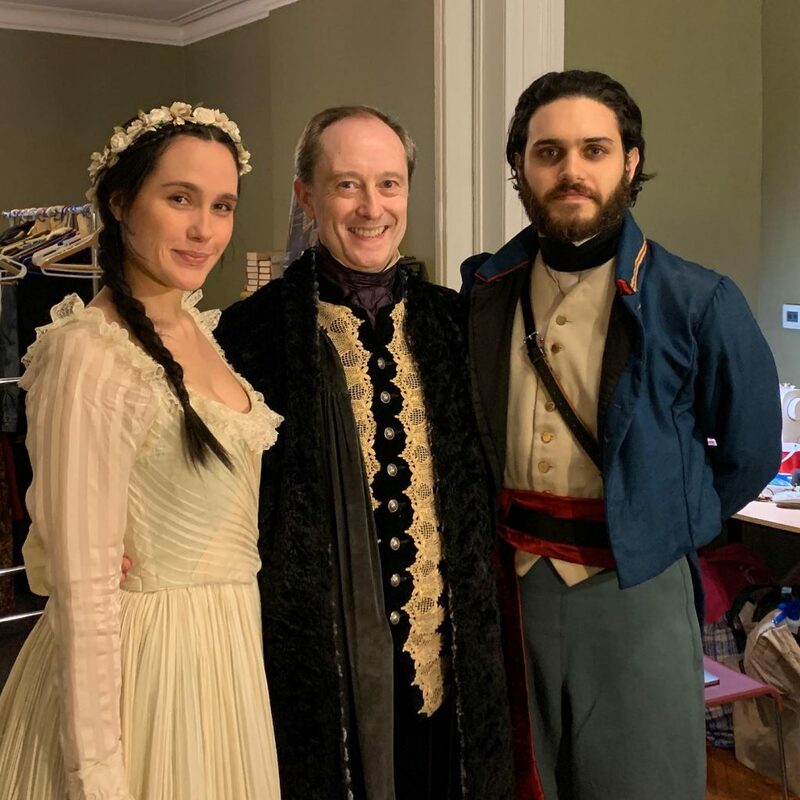 Watch for our pilot episode of The Tempest VR at film festivals in Fall 2019! A mysterious space storm causes concern…. 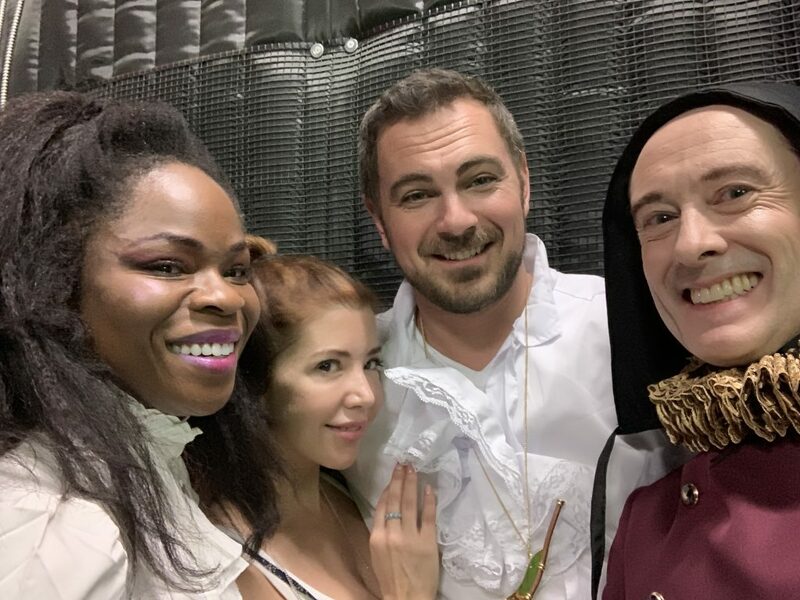 Some of our fabulous cast: Nija Okoro (Sebastian), Michele Martin (Miranda), Adam Langton (Boatswain), and yours truly. 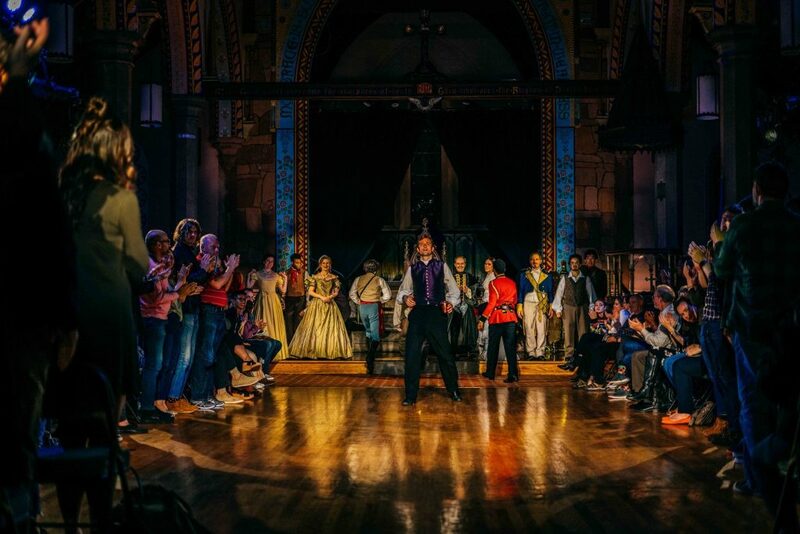 Thank you to everyone who made it to our production of Hamlet in Jersey City; the reviews were raves, and the audiences were amazing. This was the inaugural production for new classical company Shakespeare@, led by Artistic Director (and our Director) Sean Hagerty and producer Sydney Steele, and it was a roaring success in every way. 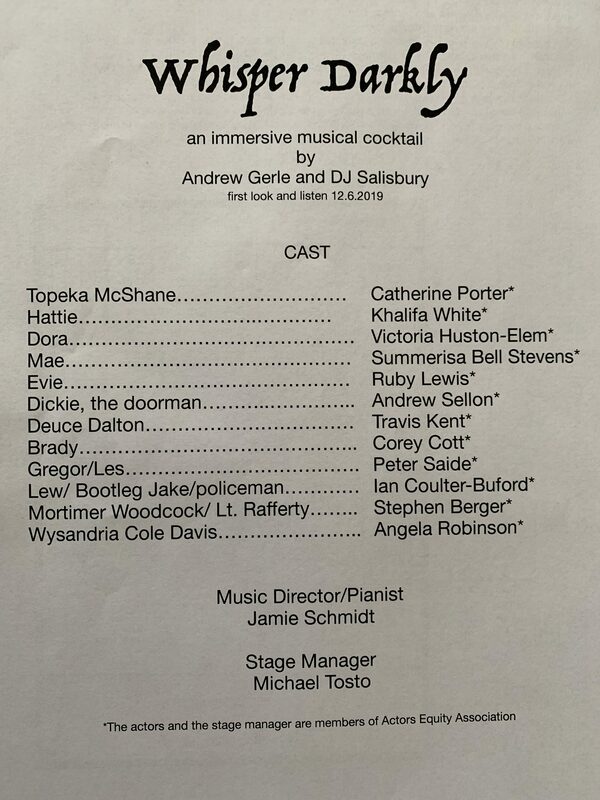 I am honored to have been part of this wonderful cast and truly fine production. We were at 80% capacity over the run, and sold out our last two weekends–turning people away the final weekend! What a great ride. 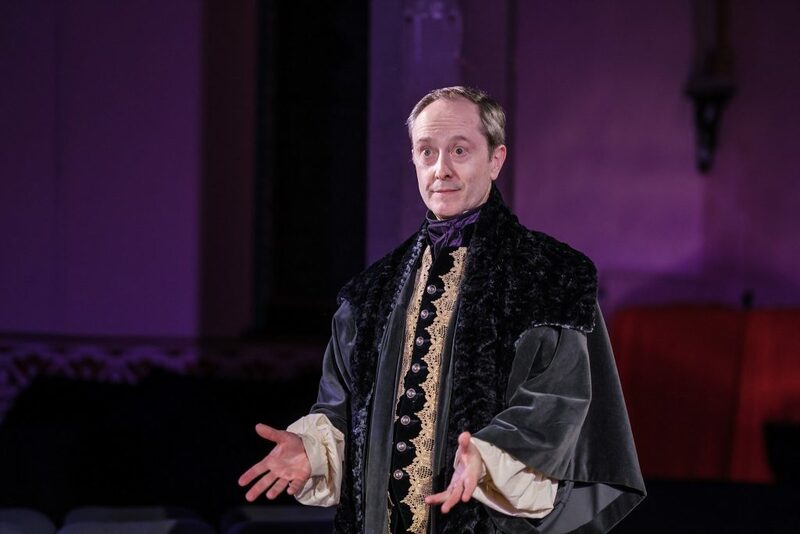 I’m thrilled to announce my next project: I’ll be playing my first Polonius in Hamlet for the inaugural production of new professional company Shakespeare@ in Jersey City, NJ. Hamlet will be played by Irish actor Jonathan Forbes (Amazon’s Catastrophe). My two children, Laertes and Ophelia, will be played by Aria Shaghasemi (CW’s Legacies) and Eden Brolin (Freeform’s Beyond), respectively. Also in the stellar cast are Mark Torres as Claudius and Thia Stephan as Gertrude, along with Francis Mateo, Fernando Hernández, André Revels, Tenzin Yeshi, Mark Jonathan Quiles, Alice Marks, Wesli Spencer, and Robert Steven Anderson. 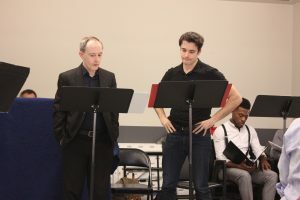 Shakespeare@, the brainchild of Producing Artistic Director Sean Hagerty (who directed me in The Taming of the Shrew in NYC a few years back for NY Classical Theatre), will focus on creating intimate, accessible productions of Shakespeare plays in unique performance spaces in Jersey City, NJ. 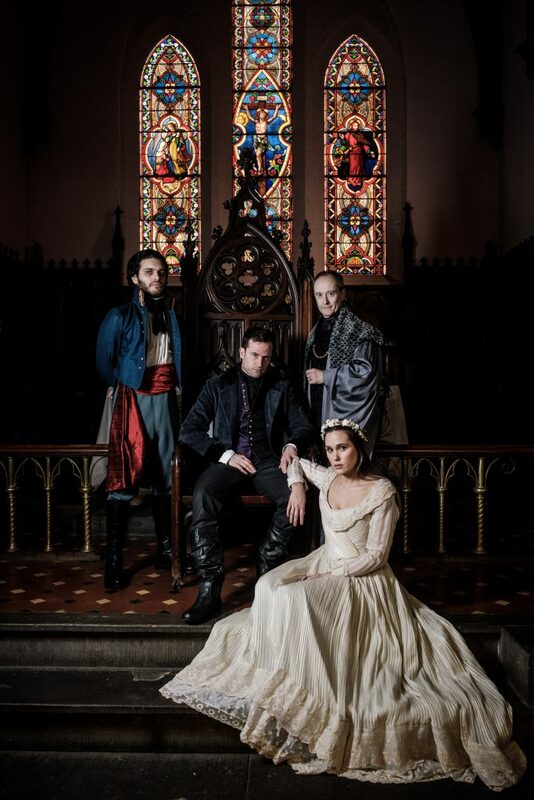 Hamlet will take place in Grace Church Van Vorst, and as you can see by the press photo here, it’s a gorgeous early Victorian church, so that will be the period for our production. It’s going to be thrilling theatre. 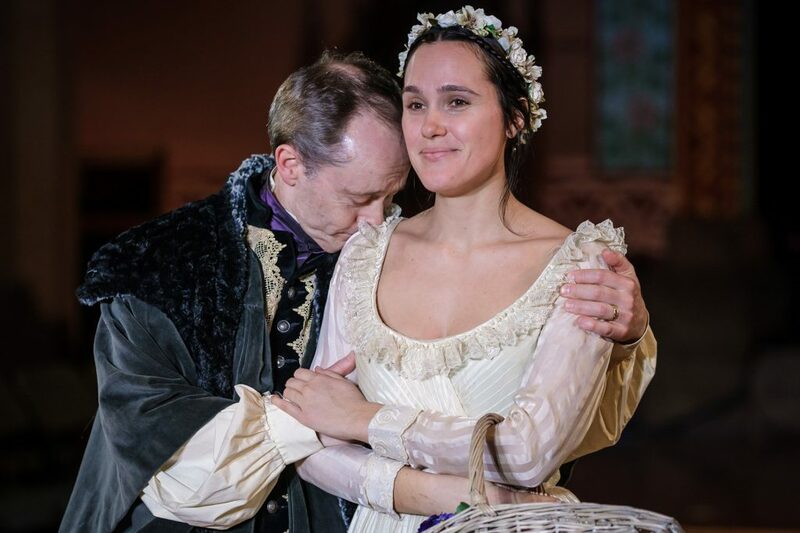 Hamlet will run Thursdays-Sundays only, March 28-April 14. Seating is very limited, so order your tickets now! A Gotham Rogues Gallery of Gay Blades! 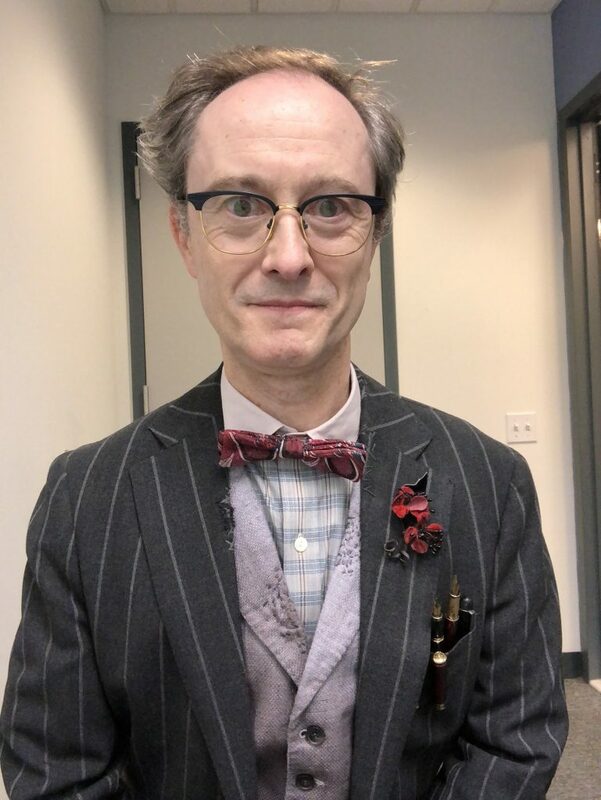 Tonight (2/28/19) in Episode 508 of Gotham on Fox, I’m back. And I’m not alone. I’m also making a bit of DC Comics history. Tonight I become the first live-action performer ever to portray classic DC Comics villains The Ventriloquist and Scarface. And in case you’re wondering: yes, I do have some ventriloquism skills; I operated and voiced Scarface in real time on set, while simultaneously performing the role of Mr. Penn/The Ventriloquist. It was an amazing and incredibly fun challenge. I was so happy to have another episode with Robin–and to finally work with Cory! Seth Boston wrote an amazing script; one of the best in the entire series. Director Ken Fink and I have the same warped sense of humor, and he guided this crazy episode with fantastic flair. His visual ideas were insanely clever. Props gurus Courtney Schmidt and Giovanni Rodriguez created an amazing Scarface. It was a joy start to finish. I can only say thank you again to everyone on the show for this incredible 2-season experience–the simply amazing and sweet cast, the entire crew (including fabulous DP David Stockton), my series directors (Danny Cannon, Rob Bailey, Ken Fink, Mark Tonderai, Nathan Hope, Nick Copus, and Scott White), the tireless office staff, the incredible writers room, our gifted designers, and our incomparable team of producers–especially Danny Cannon, John Stephens, Scott White, Tom Whelan, and assistant Shelby Coppola–for your belief in me. Thank you all for welcoming me into the delightfully demented world of Gotham, and making me part of the coolest, craziest TV family ever. On the casting side, huge thank you’s to Renée Glicker, Joe Kokofsky, and team at About Artists Agency for submitting me for the initial Mr. Penn audition, to the fabulous team at Bowling/Miscia Casting for granting me an audition, and a special thanks to Warner Brothers Senior VP of Casting Tony Sepulveda for saying that magical, life-changing word: “Yes.” I hope we share more “yes” moments in the future! My biggest thank you’s go to my husband Tim (for over 25 years of love and encouragement), our families, and especially to Gotham’s absolutely incredible legion of fans. Moments like this are rare in any actor’s career. I’m honored to play these iconic roles, and so grateful we got to share this ride. Thank you all. 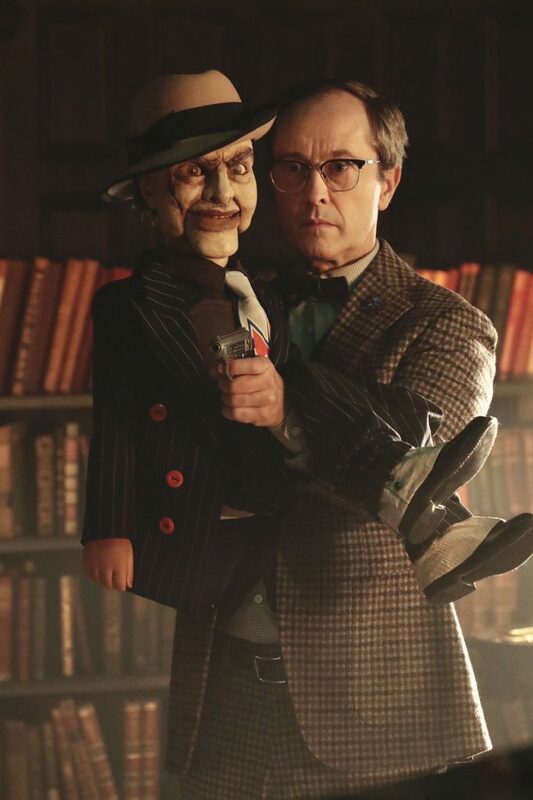 Given that my character of Mr. Penn was killed off in Episode 503, this appearance as the Ventriloquist and Scarface almost didn’t happen. For the whole amazing story on how it did, check out the exclusive interview I did with GothamTVPodcast, which will be available on their site and via most podcasting apps, shortly after Episode 508 airs. Stay tuned for news of my next project! So it looks like Mr. Penn is back after all! And he’s made a new friend…. 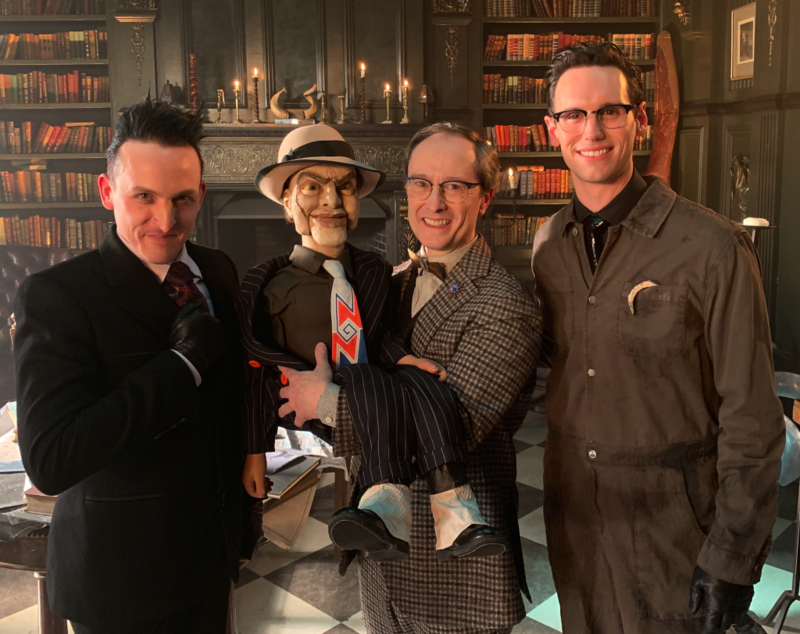 Watch Gotham Episode 508 on 2/28! And stay tuned for more on this miracle. Thank you, Gotham producers, writers, directors, cast, crew, and AMAZING FANS!! 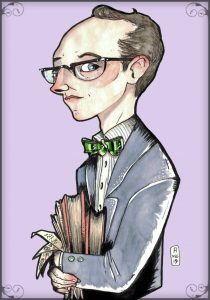 I love all the wonderful Gotham fan art that continues to come in for my character of Mr. Penn. I am thrilled he touched a chord with so many people around the world. I will certainly miss playing him. 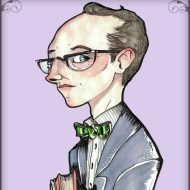 I especially love seeing the variety of styles our talented fans employ in their renderings of Mr. Penn. 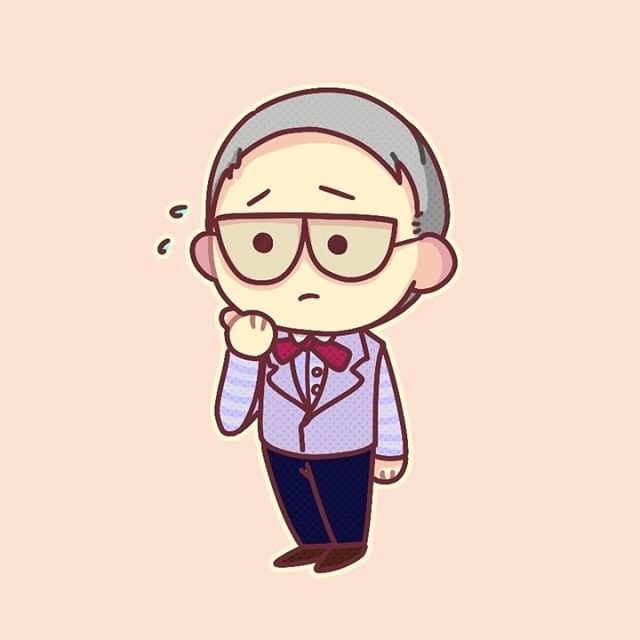 Today I’m sharing an absolutely adorable version of Mr. Penn from Instagram, with thanks to talented fan @shadonut. Lovable isn’t necessarily a word you could apply to many of the denizens of Gotham, but this artist has definitely captured the lovable side of Mr. Penn. More fabulous Gotham fan art to come! 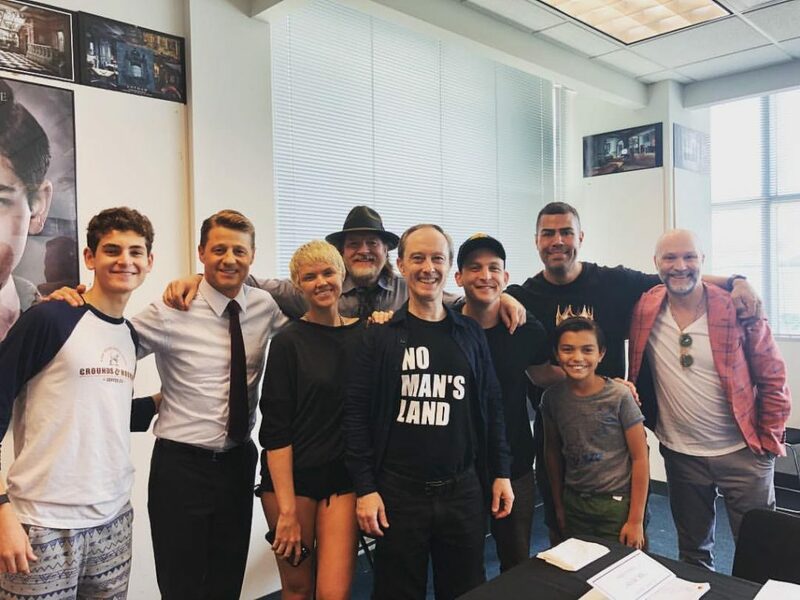 The Gotham table read for Episode 503 was as exciting as the first two. And filming the episode was intense. No Man’s Land is a deadly place. And Tze Chun’s surprise-filled script was a real killer. Plus, we filmed some scenes of this episode during one of the hottest weeks of 2018. But the cast and crew were all troupers (and the crew took such amazing care of the cast!). I think the resulting footage will be amazing to watch. It was fantastic being with everyone again, on and off set. And I’m thrilled Rob Bailey directed this one. He directed me in one of my favorite episodes last season, Ep408. Rob directed Ep503 with full command of the epic drama unfolding, and at the same time such sensitivity for the quieter, heartbreaking moments. One scene was especially hard for Robin and me; when you see the episode you’ll have no trouble figuring out which one it was. Rob and our wonderful DP David Stockton were so considerate and respectful. I’m deeply grateful for that. We had such an exciting, emotional time on set every day and night. It was so hard to say goodbye. I’m going to miss this bunch beyond words. Even while Gotham shooting was wrapping up, another cool project appeared. 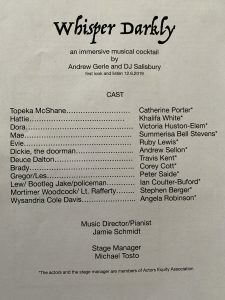 I was delighted when my beloved director buddy DJ Salisbury (who directed me in The Mystery of Edwin Drood last January) asked me to take part in a private staged reading of the new, immersive musical “cocktail” he’s creating with composer Andrew Gerle. It’s called Whisper Darkly, and it’s set in the era of the speakeasy. The score is full of great songs, and the story full of swell characters. And the cast they assembled? Wow! For one thing, I was thrilled to be reunited with my Drood co-star (and roommate!) Peter Saide. 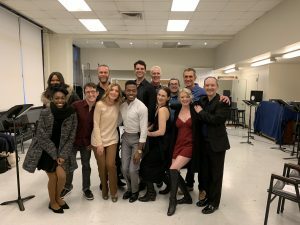 The rest of the cast was made up of other Broadway and Regional all-stars, including: Catherine Porter, Khalifa White, Victoria Huston-Elem, Summerisa Bell Stevens, Ruby Lewis, Travis Kent, Corey Cott, Ian Coulter-Buford, Stephen Berger, and Angela Robinson. Music director was Jamie Schmidt, and Stage Manager was Michael Tosto. What an insanely talented group. It was all over in the blink of an eye, but I’m honored to have been a part of it. The invited audience was delighted with the show, and I can’t wait to see where it goes next. Bravi!